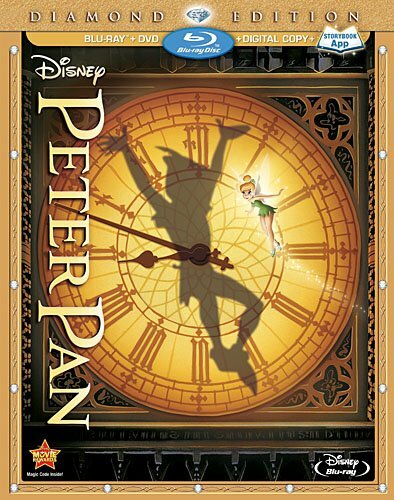 Disney classic Peter Pan comes to Blu-ray in a new Diamond Edition set featuring the 1953 feature film with a slew of extras. The film looks and sounds great in high definition (with a 7.1 DTS-HD MA soundtrack), and is sure to please collectors and fans of the Disney animated canon. 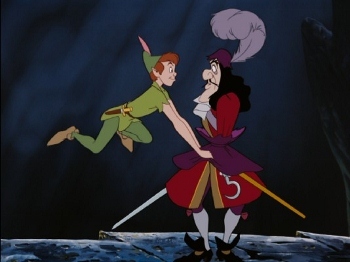 On its own, I have always found Peter Pan to be one of the weaker films of the classic era. Watching the film with adult eyes, it’s hard to ignore some of the issues that keep this film from being a timeless classic. Granted, the story is still a lot of fun. 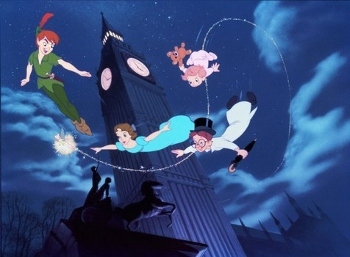 It’s cool to see Neverland and witness Peter and Wendy’s adventures there. But, the film is kind of a mixed bag. Neverland isn’t quite as much fun as it should be in today’s world. The measure of a classic film is how it holds up to the test of time. Unfortunately Peter Pan fails on a couple of levels. The most glaring is the depiction of Native Americans in the story. 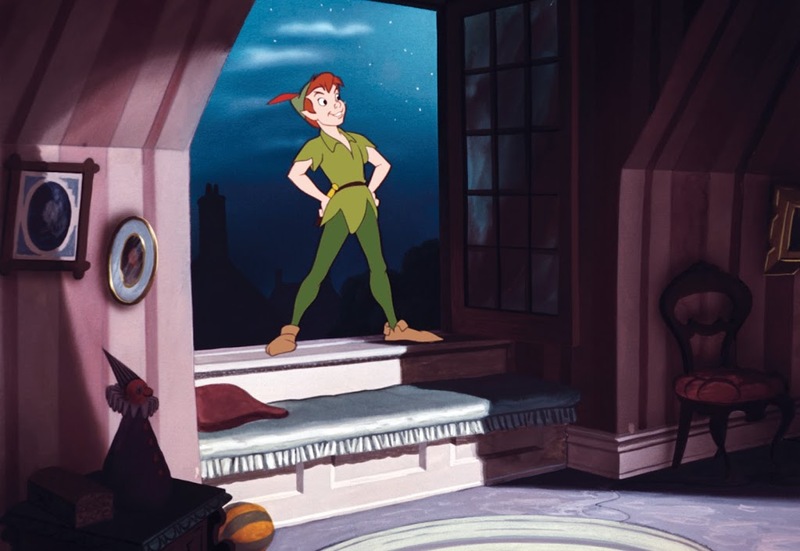 After Peter, Wendy, and her two younger brothers, John and Michael, travel to Neverland they encounter mermaids, a band of pirates, and a tribe of Indians. So, mermaids are mythical creatures, pirates are the stuff of swashbuckling fantasy, but what is the “Piccaninny tribe” found in the story? I hesitate to call them Native Americans really, because Neverland certainly isn’t America, and the rest of the story takes place in England. Either way they are certainly based (very broadly) on North American Indians. The word “piccaninny” itself is an all-purpose slur used in conjunction with racial caricatures (generally children of African descent). Tiger Lily, a young girl from the Piccaninny tribe, is kidnapped by Captain Hook. Peter valiantly rescues her, earning respect from the tribe after they had taken Peter’s friends, The Lost Boys, along with Wendy’s two brothers, hostage. The Piccaninny are depicted as savage and not too intellectually swift. Peter even says at one point, “The Indian is cunning, but not intelligent.” It would be easier to live with this flagrant disrespect if it was at least acknowledged more directly these days. However, there is a sing-along track included as a special feature so kids can join in on the songs. It’s hard to be totally cool with little kids singing along to “What Makes the Red Man Red.” On the other hand, parents could take the opportunity to talk with their kids about the subject matter, placing it in the context of the era it was released. I recently saw a discussion where people were suggesting the film be changed. I’m thoroughly against that idea. History shouldn’t be changed in the name of political correctness, but problems should be recognized and acknowledged. Otherwise, impressionable young kids continue to learn about certain cultures (in this case, Native American) from the biased, insensitive, and generally ignorant viewpoint. The offensive depiction is the main thing that keeps Peter Pan from being as enjoyable as it should be. The question remains about how much this aspect tarnishes the film. For me it tarnishes it quite a bit. The characters do not really fit into the fantastical world of Neverland since they are based on a real-life culture. After criticizing the Piccaninny’s intelligence, Peter and his gang happily join in the celebration over the return of Tiger Lily. Because Peter has the mind of a child, he easily flits from one mood to the other without realizing the impact on those around him. His best friend Tinker Bell, a magical Pixie, is in love with him, yet he doesn’t realize it. In fact Tiger Lily, the Mermaids, and Wendy all have crushes on Peter, but he (being forever willingly trapped in adolescence) has no romantic interest in them. He initially brings Wendy to Neverland because he believes she can act as a mother to him and his Lost Boys. It’s an entirely selfish motivation. As an adult it’s unsettling. From a child’s perspective Wendy, John, and Michael are about to embark on a grand adventure. From an adult perspective they are being kidnapped. Peter seems intent on keeping them there forever, completely disinterested in the lives they were living before meeting him. While there is a message in the story about not forgetting the freedom of imagination childhood provides, there is also a stronger message that one does need to become an adult. Eternal childhood brings a lack of responsibility and inhibits the ability to form meaningful relationships. Peter is actually not the most likeable of heroes. In some ways he is noble; he fights for what he feels is right. But he does not have any meaningful attachments. 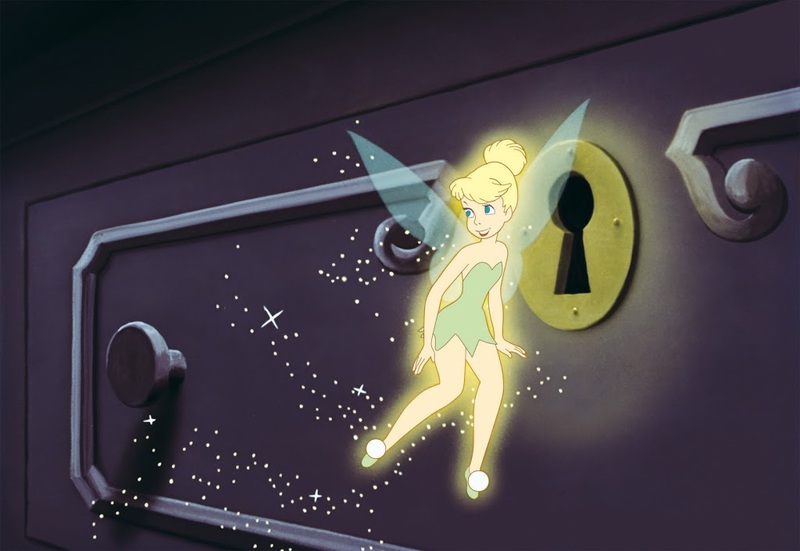 He quickly banishes Tinker Bell when she wrongs him, and becomes angry with Wendy when she expresses the desire to leave. His actions are selfish for the most part. He doesn’t understand responsibility or accountability. He makes all the rules and is not open to input from others. This all sounds a little heavy for an animated Disney film about a boy who won’t grow up, but Disney handles it in a lighthearted way. Those themes are present throughout the film and none should be ignored (particularly the racist caricatures), but they don’t weigh it down to the point where it can’t simply be watched as a fantasy. Kids will likely still find the characters and sing-along songs fun. The new Diamond Edition Blu-ray offers an image so clean and colorful, it looks practically new. The 7.1 mix is probably unnecessary, but sound very good nonetheless. For those who prefer the original theatrical mix, it is offered in Dolby Digital mono. In addition to all the ported over DVD extras from previous releases, the Blu-ray includes the 40-minute “Growing Up with Nine Old Men” (about the now-deceased Disney animators), deleted songs and scenes (two each, presented via storyboards), and a brief introduction by Diane Disney-Miller. “Disney Intermission” is an optional function that has little animations for kids (i.e. “Pirate Training”) whenever the disc is paused. “DisneyView,” also optional, fills out the black window-box bars on either side of the 1.33:1 picture with static, painted imagery that is appropriate for the scene. While it is possible to go overboard decrying political incorrectness, there’s also a danger in pretending it doesn’t exist. In order to continue marketing these films to children, Disney has to remain in denial to a certain degree. They’ve apparently drawn the line with Song of the South, keeping the film unavailable in the DVD and Blu-ray era. But again, there’s no reason to ignore history as long as it is presented responsibly. It would be inappropriate to market that particular film as children’s entertainment. But it’s also irresponsible to continue marketing films with culturally offensive material like Peter Pan to unsuspecting young viewers whose conception of such things is still developing.